Bringing renewable energy in an effort to help grow India's infrastructure. Hilliard Energy India was formed in 2012 with the goal to bring reliable power to those in need in India. While exploring opportunities for over 2 years, Hilliard today holds a pipeline of over 1 GW of opportunity in the renewable energy sector. We have strategically aligned ourselves with key partners in the industry from engineering procurement and construction, operating and maintenance to top tier manufacturers and capital players. A history of predevelopment, fund raising, and project execution within the United States will ensure success in India. Renewable energy has been known to aid economic growth of the local and rural communities where the projects are developed and built. 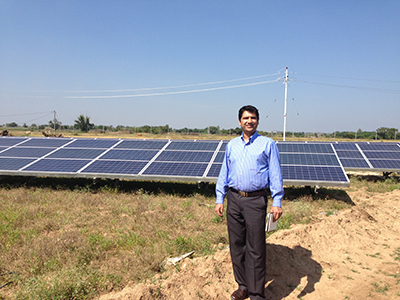 Hilliard Energy India brings its deep-rooted renewable energy expertise in the US to India. Our vision is to create similar engines of growth for job creation while solving India’s power generation needs in an environmentally friendly way. Hilliard Energy India’s plan is to become partners in renewable energy growth with the local and federal governments. Hilliard Energy India plans to align with the stated goals of these governments for long term sustainability of the resources, and above all, for the benefit of the people of India. A balancing act of good deeds while working in the interest of the investors is the most sustainable way to build long-term viable business. Hilliard hopes to bring this approach to the renewable energy market of India.